Earlier this year I spent some time making digital copies of various old cassettes from the ‘understairs cupboard archive’ — boxes of bits of York’s recent history. Photos, leaflets, bits of ancient 80s ephemera. One of the old tapes, a recording of York band the Incinerators, a quarter of a century old, had begun to disintegrate and had to be carefully and painstakingly stuck back together with sellotape. 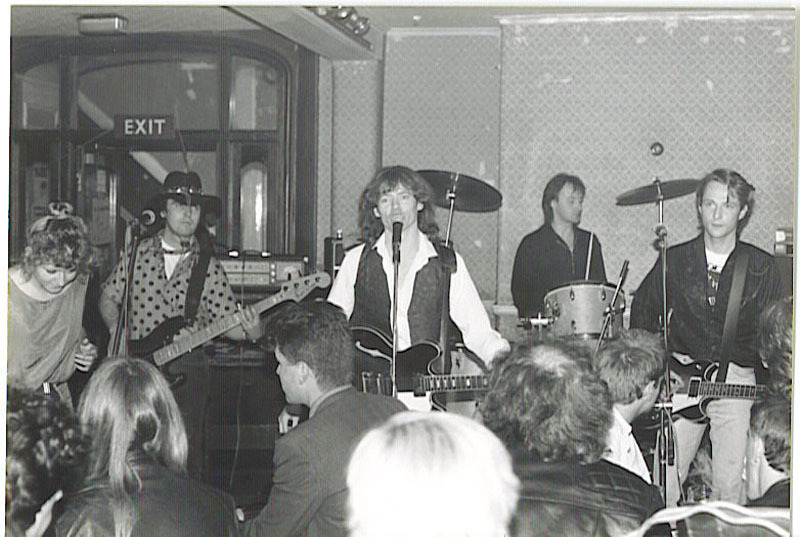 Also from last century, but thankfully not rotted away, a few photos of the Incinerators playing at the Spotted Cow, in 1987/8. There’s at least one other person in York who remembers these times, and many remember the Incinerators, and the Spotted Cow as a venue, so I thought I’d share them. I don’t know who took the photos, so if you do, please let me know. Or if they’re yours and you’d like them back. And here’s some music to go with these photos. Recorded at another fondly-remembered York venue, the Arts Centre. Or on this link if that embed doesn’t work for you. Many more at soundcloud.com/incinerators-york. 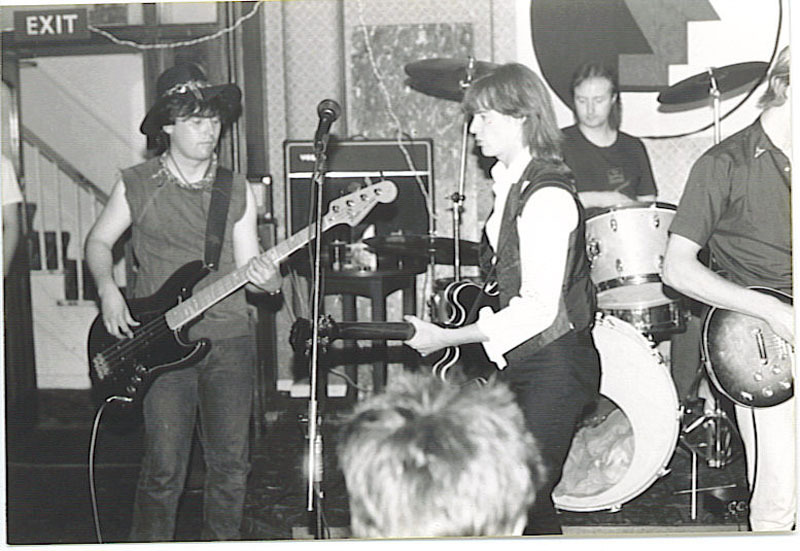 Sadly I’ve not found any photos of happenings at the Arts Centre, so here’s a couple more of the Incinerators playing at the Spotted Cow. In the photo above, in the audience, Mike Bennett, who died earlier this year. Spent many happy nights gigging in the Spotted Cow in the 80s and early 90s. A real, proper gigging pub. Fantastic memories. Loads Lisa – all those you mention, plus Bonding Warehouse, Harry’s Bar, Keaton’s, Barnum’s, Corner House, front room of the Spread Eagle, Arts Centre, Five Lions, all the Uni colleges, St John’s, Bay Horse Gillygate, Lendal Cellars, the Barge – to name but a few! I’ll see if I can dig out some old photos for you. I should have loads somewhere! I have just returned to work, the internet and Yorkstories after the Christmas break. I was interested to see a couple of articles which have a link. Firstly the mention of YourKmusic. This free newsletter was produced by Charlie Daykin who worked with me as a graphic designer at Anderton Overton Design. We were based firstly at 39 Low Petergate, and later above Oscar’s in Little Stonegate and latterly at Bootham Terrace. Charlie would produce the artwork for YourKmusic by hand on an evening after work, getting the text typeset at the Viking Press Tanner Row, and cutting and pasting both text and photo’s onto traditional page artwork. He would then hand deliver copies to venues throughout York. Charlie is still living in York and involved in the music scene as both a lecturer and musician. The link is to the series of advertisements from the old York Guide(s) you aquired from the Barbican Bookshop. I recognise these ads as I was involved in producing several of them, again whilst employed as a graphic designer at Anderton Overton Design. We worked directly for the department of tourism, and also produced a guide called ‘Eating out in York’ for the local hotel & restaurant association, and produced many Ads for local business’s. This was in the days of Letraset, Cow Gum and pen and ink, long before digital artwork. Seeing these ads from the early seventies has brought back a lot of happy memories. I started using computers just as the desktop publishing revolution was destroying the cow gum industry. Arranging it all on the screen and then printing out perfect camera-ready copy to send to the printers. But still having to print it all out. Ah, the old days. Played with Charlie in both the Desperate Men & Big Kick, late 80s & early 90s. A thoroughly great guy. Also who is on the drums in the colour Incinerators picture? doesn’t look like Mick Stewart? No, Mick wasn’t with them for long apparently. That’s Daz Mollatt on drums. 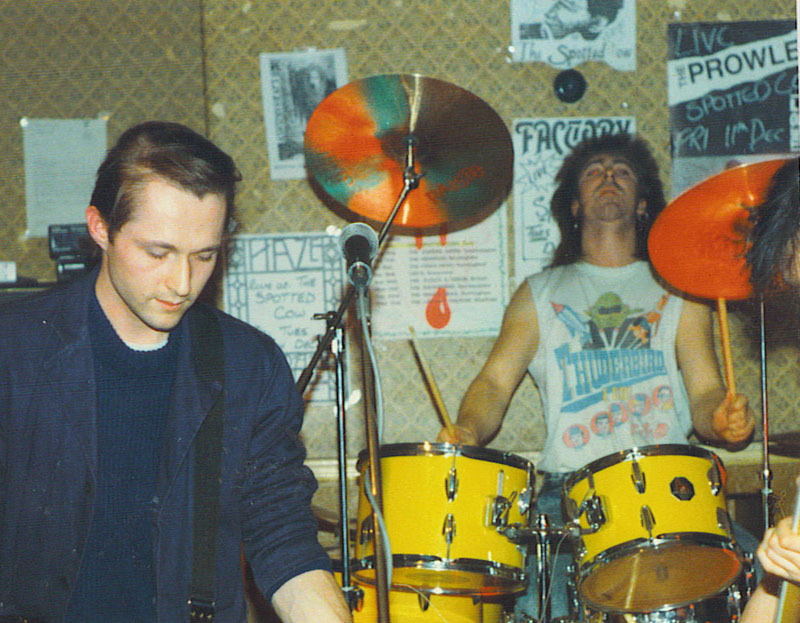 Ah yes, The Incinerators – one of the highlights of my time doing sound in York in the mid-late eighties. I believe I even have a tape somewhere, maybe from the Winning Post? Happy days.